“Transit” – According to Google, the definition of transit is an act of passing through or across a place. That seems simple enough, but there is nothing straightforward about writer/director Christian Petzold’s (“Barbara” (2012), “Phoenix” (2014)) latest film “Transit”, a delicious and surreal puzzler that begins two moves ahead of the audience, and we need to play catch-up for most of the 101-minute runtime. Georg (Franz Rogowski) lives in Paris, but the city seems to be caught in a newly-formed police state or declaration of martial law. In fact, some on-screen events – and certain moments of dialogue – point towards a WWII Nazi invasion, but the surrounding environment implies a 2019 timeframe. With intimidating law enforcement aggressively scouring the streets, Georg needs to quickly flee the city and country, but not before his friend Paul (Sebastian Hulk) asks him to deliver two letters to a writer named Weidel, who is hiding in a nearby hotel. This begins Georg’s journey to the seaside city of Marseille. 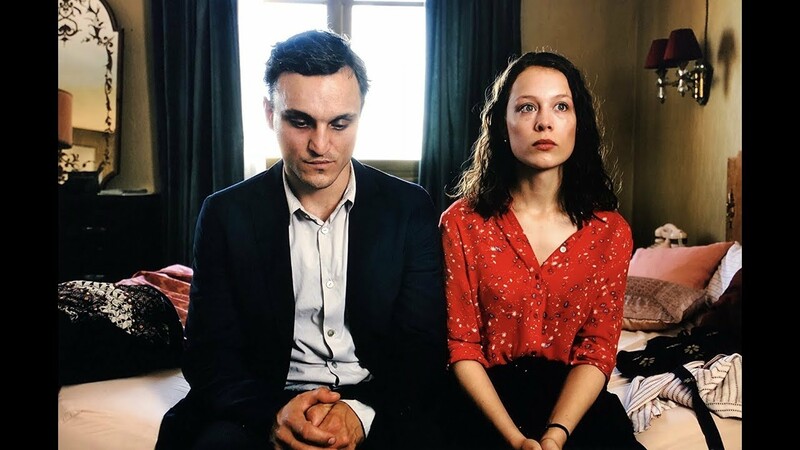 Petzold’s characters swim in his purposely and exceptionally cloudy narrative under the bright, sunny skies in the south of France, as Georg is caught in the desperate times of the period, well, whichever one (1942 or 2019) it might be. At the moment, Marseille is saturated with an abundance of refugees, but tickets to better futures are as scarce as a Willy Wonka golden ticket. Meanwhile, Georg falls into a case of mistaken identity and repeatedly runs into a mysterious woman (Paula Beer) who sports “an elegant coat and smart shoes.” She randomly appears in Georg’s life for a few seconds at a time and then – just as hastily – scurries away. As the story gently unfolds, both lead and supporting characters make false assumptions. Secrets become increasingly valuable, but also more detrimental if they are revealed. Georg reveals his resourceful nature out of a need to survive. His unassuming persona and everyman look combined with swift thinking (through prudent choices of words after several seconds of blank stares and silence) make him a perfect conduit to open figurative doors that are closed to vast numbers of others who line up at consulates or hide in modest hotel rooms and apartments around town. One of these “others” is the aforementioned mysterious woman with the noticeable clothing and striking beauty, and her brief encounters – via coincidences and circumstances – with Georg eventually help engineer clarity to this intricate cinematic enigma. Not unlike Petzold’s “Phoenix” (2014) – a film about blurred identities after WWII – he wraps this movie in a dreamlike ambiance of tipsy dystopia. In order to rightly experience “Transit”, it is not important to actively investigate your questions. Instead, just let the narrative run through you, so its rewards won’t pass you by.